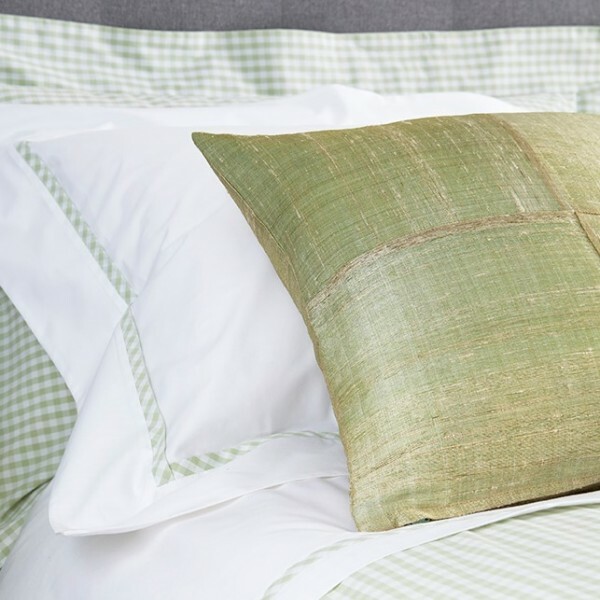 Soft tones of green and the texture in the fabric make this a beautiful cushion. Raw silk has been hand woven in a unusual open weave., then four panels have been sewn so the lines in the weave change direction. The back panel has been kept plain, and both sides have been lined for added strength. 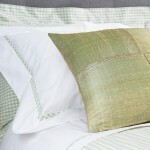 Colours: Willow Green, also available in Blue, Silver, Corn, Chocolate, Mauve, Black and Lime. 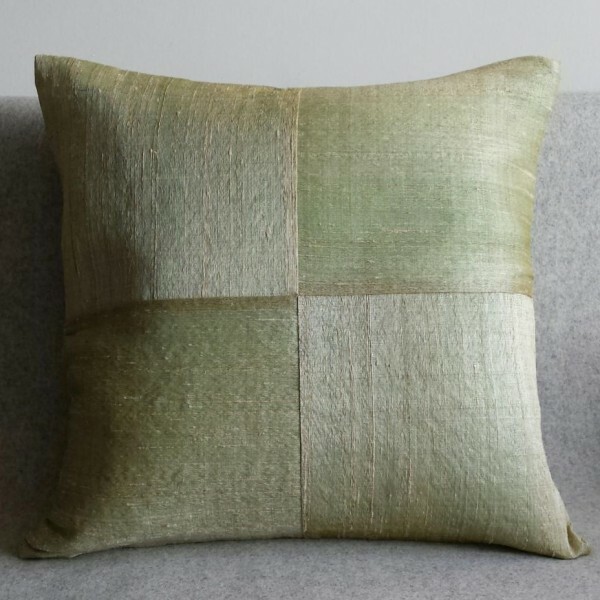 Note: The open weave fabric used for this cushions is not suitable for heavy, everyday use. Fabric: willow green handwoven Cambodian raw silk. Dry clean only. Includes a duck feather pad.